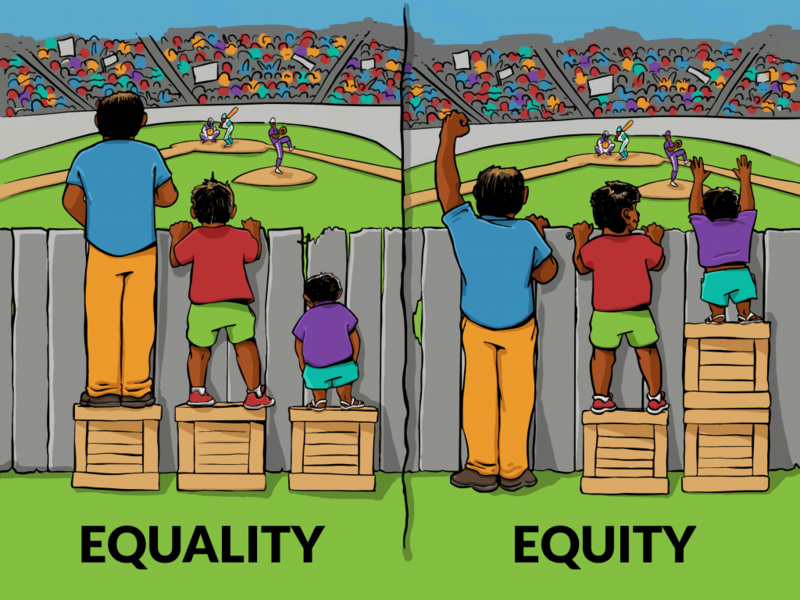 What made us create the ROUNDMAP™ can be captured in one single word: EQuitability – being fair, just, and honest. Because we believe all businesses have a social responsibililty to all of their stakeholders, i.e., their employees, customers, patients, viewers, fans, shareholders, society and nature. Profit is good, if good is done. We’ve found that linear business models often cause more harm than good. By adding two circular business models, shaping the Business Model Matrix™, we believe to have opened up a new pathway for businesses to embrace their social responsibility, without ever jeopardizing their long-term profitability. Let’s have a look at what makes profit look bad. We know mass production throughout the industrial age made products more affordable and available. However, the devastating side effects of mass production, mass consumption and mass culture often remain hidden. Planned and perceived obsolescence are deceitful techniques used to entice customers to repurchase more quickly in order to increase profit. But by doing so the business enterprise contributes to the destruction of what it should protect. After World War II it became clear that in order to benefit from cost reductions from mass production, consumer demand had to increase rapidly. Propagandist Edward Bernays, a nephew of Sigmund Freud, inspired companies to convince people to want something, rather than need it. Which led to a particulary brazen set of techniques of mass manipulation. We ended up with: “Buying stuff we don’t need, with money we don’t have, to impress people we don’t like”. While most find it difficult to accept that manufacturers design products to fail prematurely (made-to-fail), persuade potential customers that their existing products are out of date (made-to-dump), or manipulate them to want products (made-to-desire), they actually had to resort to these controversial techniques because of linear, product-centric business models. The Centenial Light, a lightbulb manufactured some 125 years ago, still operates to this day, after 1 million hours. The Phoebus cartel wasn’t merely to make more profit, they appropriated market territories, controled prices and thus protected jobs. However, it came and still comes at a huge price. Don Peppers and Martha Rogers, authors of The One to One Future (1993), revolutionized marketing by radically rethinking the marketing basics. Instead of starting with a product for which to find customers, their idea was to start from the customer’s demand and offer products that would meet their specific needs. Professor Peter Fader also advocates Customer Centricity, emphasizing the fact that we need to celebrate customer heterogeneity – no customer is created equal. Customer Centricity is a step towards more sustainability. Customer Centricity is a step forward, in terms of sustainable value creation and consumption. However, the business model only benefits from ~20% of the customers. To thrive the organization needs a secondary business model. While creating the ROUNDMAP™, two new AS-A-SERVICE business models emerged. The first being Resource Centricity. This business model, in part related to servitization, does not depend on selling products, but on serving resources. The second AS-A-SERVICE business model that was uncovered by Edwin Korver is Network Centricity. In its earliest form these were physical marketplaces, along ancient trading routes. Today’s marketplaces are mostly digital platforms. We believe the four elemental business models have evolved over time in two directions: either through SHIFTING or REGENERATION. Shifting is a revolvement to the next elemental business model, while regeneration is iterative. While others described business models, such as servitization and digital platforms, as stand-alone phenomena, we found that these business models correlate to one of the four business silos of the customer lifecycle. We also discovered that while they appear ‘modern’ these elemental business models have regenerated over the years, benefiting from technological, economical and social advancements, i.e., the adjacent possible. 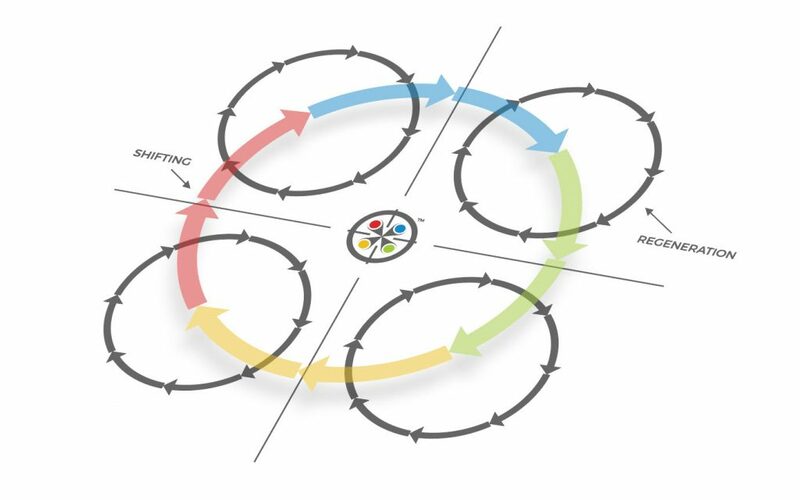 To understand the level of sophistication of the ROUNDMAP™ and its components, we created a strategic playbook, explaining the distinct dynamics of each of the four elemental business models (EBM). For instance: IBM shifted from a product-centric market leader, up to 1974, to a customer-centric business model, up to 2003. After acquiring PWC Consultancy it shifted again, into a resource-centric business model. The logical next step would be a shift towards a network-centric model considering IBM Watson and IBM Cloud. While Ricardo Semler (Semco) advocates to put an end to the level of disengagement by factory workers due to industrial compartmentalization, few understand that by implementing a similar form of solodization, often referred as silos, in the customer interaction we are now in fact creating disengaged office workers, harming customer relationships.